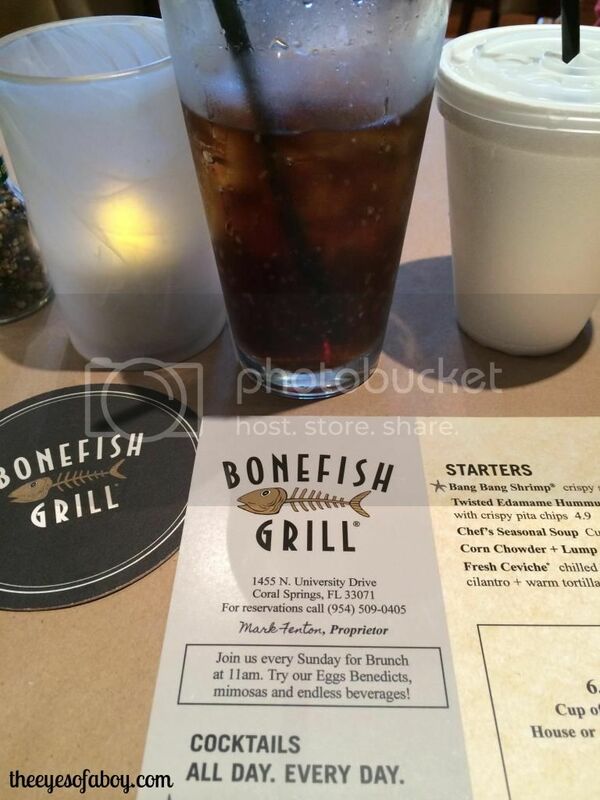 Disclaimer: I received a complimentary lunch at Bonefish Grill in order to write this review. All opinions are my own, and have not been reviewed by Bonefish Grill prior to posting this review. 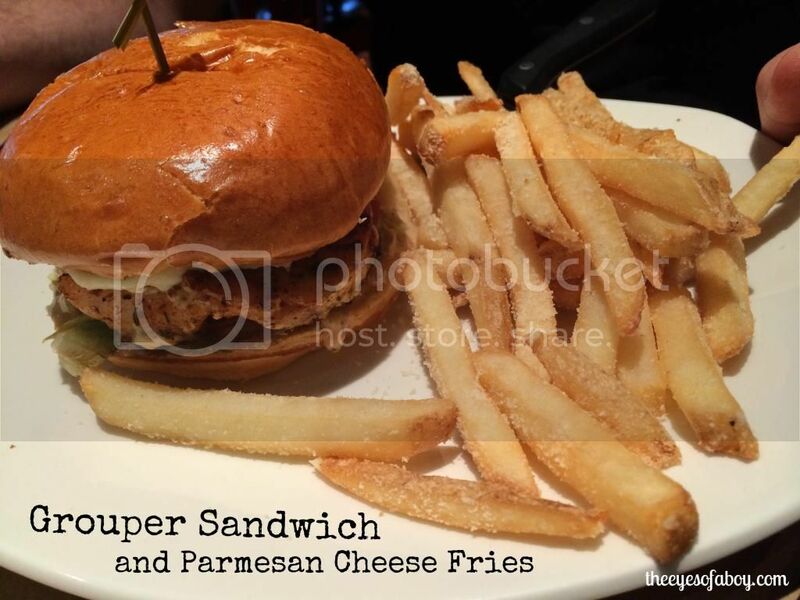 When I was asked to review Bonefish Grill’s new lunch menu, I was really excited. It is one of my favorite restaurants for a delicious, family friendly meal that is also well priced. It encompasses all of my needs into one: great food, great service, great price, great atmosphere. My husband and kids joined me for lunch at Bonefish Grill in Coral Springs. We were given our menus served our drinks promptly. 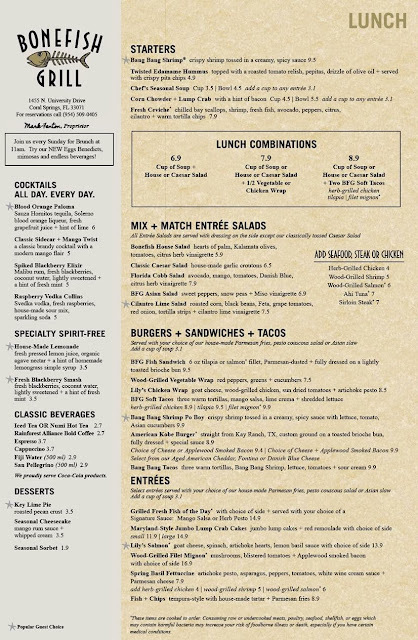 The menu has a good variety of dishes to choose from. According to our waiter, some of the most popular items on the lunch menu are the Cilantro Lime Salad, the Bang Bang Shrimp Po Boy, and Lily’s Salmon. 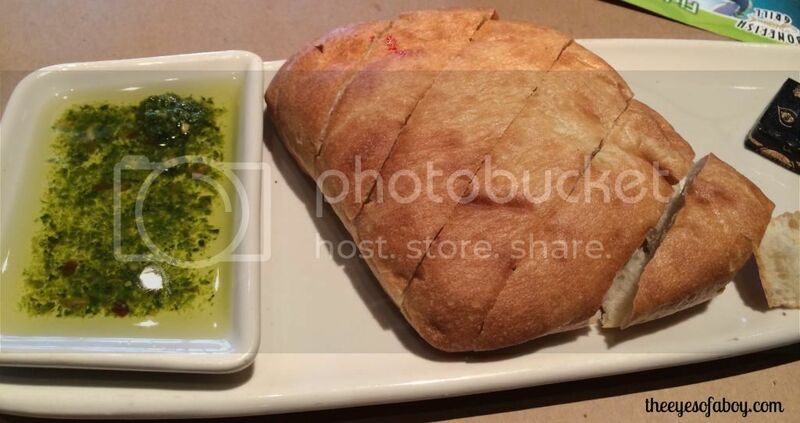 Our meal began with a warm loaf of sliced bread accompanied by an amazing oil dip of pesto and herbs. I could have eaten tons of this, but I saved room for the main course. I ordered the lunch combo. For only $8.90 you can choose either a soup or salad plus TWO tacos (you can mix-n-match either chicken, fish, or filet mignon tacos). 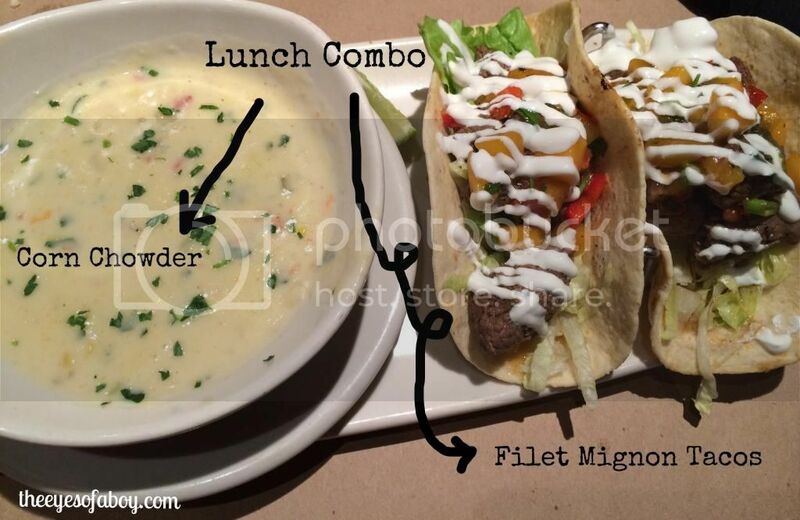 I ordered the Corn Chowder and Filet Mignon Tacos. The Corn Chowder had lump crab with a hint of bacon and a little bit of spice – and oh my, it was so yummy! I was wishing the bowl was endless! The BFG Soft Tacos are made up of a soft tortilla, mango salsa, lime crema, shredded lettuce, and filet mignon. They were so tasty! I thought about getting the mango salsa on the side because I am usually hesitant to try new things, but the tastes were well balanced. The tacos didn’t disappoint! 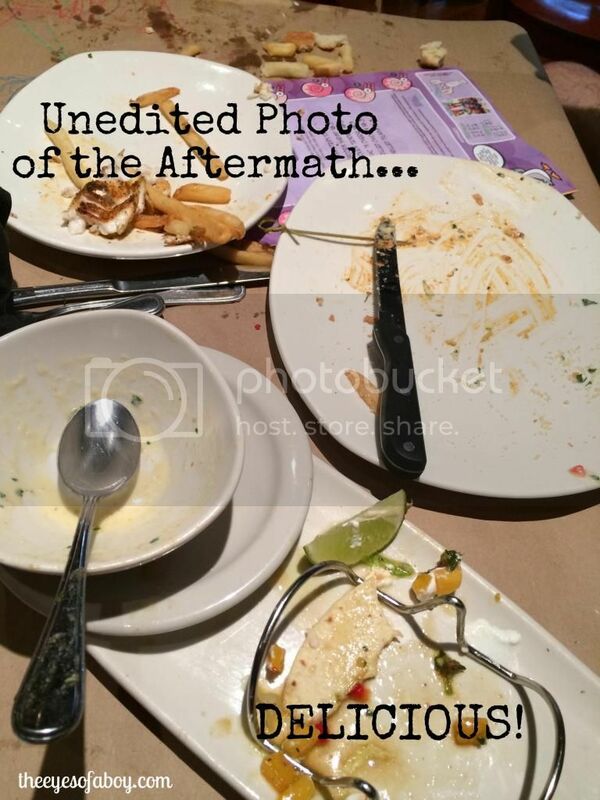 Sometimes dining out with kids can be a little crazy, but the Bonefish Grill staff was more than happy to make sure that Little J had everything he needed (highchair, crayons, kid’s cup with a lid). These things are important to me as a parent. Also, the tables are covered in a brown kraft type of paper that you are free to write or color on, so that was fun for Little J, too. 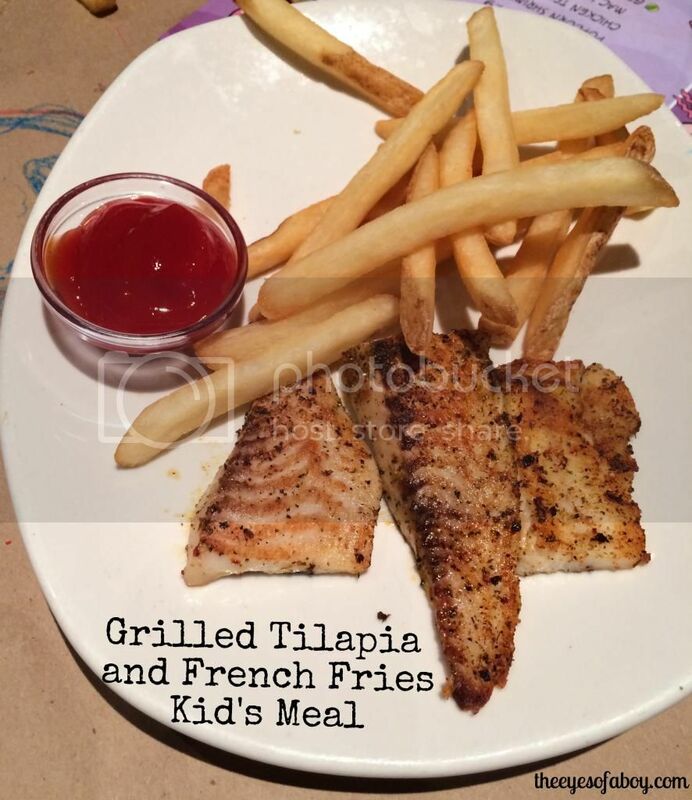 The kids menu has quite a few options for the kiddos, and Little J chose Grilled Tilapia and a side of fries. He ate all of it. Getting kids to eat all of their meal isn’t usually easy, so let’s take that as a good sign that he loved it! 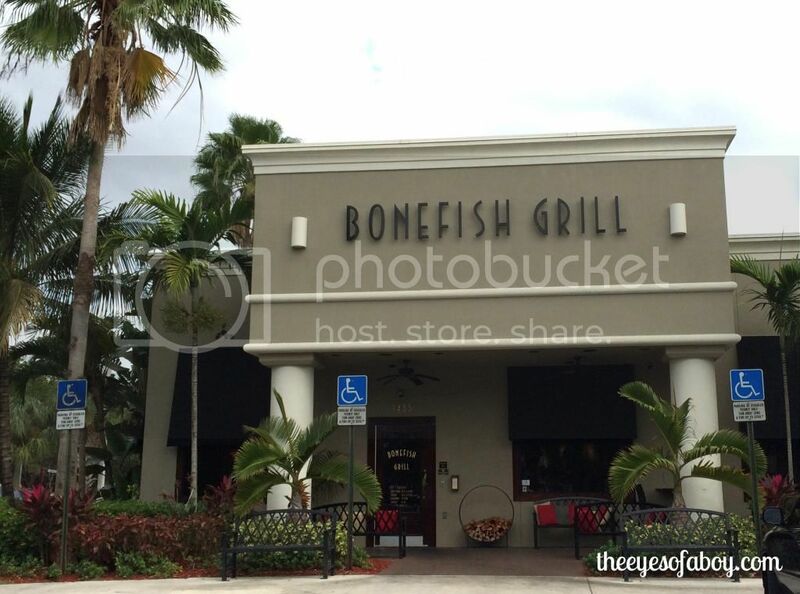 Overall, the food, service, and experience at Bonefish Grill, for lunch, in Coral Springs, was overwhelmingly good!! I highly recommend eating there, and I will most certainly be returning as soon as possible. The wonderful Bonefish Grill staff was kind and generous enough to offer to my readers certificates for FREE lunch entrees. There will be SIX WINNERS!! Ever hear the saying “There’s no free lunch?” Well, now here’s your chance! Please enter the giveaway below for your chance to win!